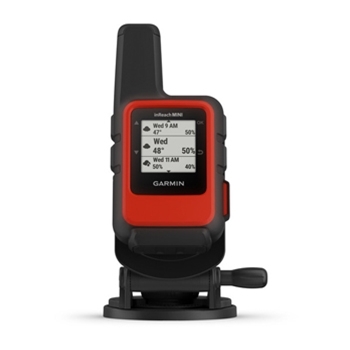 The Garmin inReach Mini Marine Bundle offers an added piece of mind, every time your boat enters the water. This rugged and compact communicator enables two-way text messaging via the Global Iridium Satellite Network as well as an interactive SOS which provides 24/7 contact with search and rescue (subscription required). 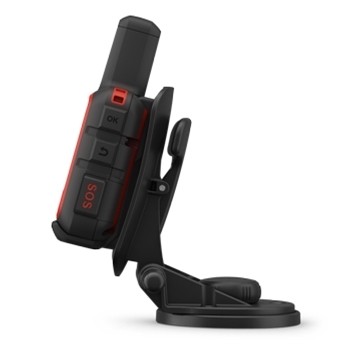 Small in design and weighing in at 3.5 oz., this device can easily be mounted on your helm with the included screw down mount and will stay charged with the 12 volt power cable. If the inReach Mini is removed from the 12 volt power, the internal rechargeable lithium-ion battery lasts up to 50 hours in a defaulted 10 minute tracking mode and up to 20 days in power save mode. 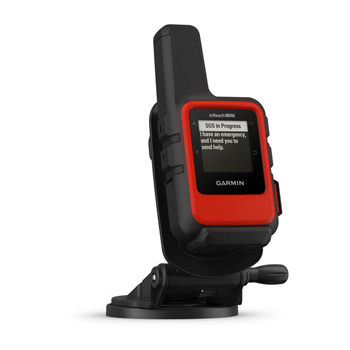 Each Garmin inReach Mini offers unsurpassed emergency response solutions with the built-in GEOS monitoring system. This system tracks your device, notifies you when help is on the way, and will continually update you on the status of the service team that’s in route to help. Built with multiple ways to stay connected, the inReach mini offers the ability to send and receive messages wirelessly when your inReach mini is paired with a compatible Garmin chartplotter, handheld GPS’s, wearables, or other mobile devices you may be utilizing. Share your GPS based location with friends on the water, or family at home, or through social media quickly and easily. Download the free Earthmate app to your smartphone or tablet and gain access to aerial images, unlimited map detail, and US NOAA charts. Once you wirelessly pair your inReach to your mobile device via Bluetooth, you can use all of the inReach functions directly on your mobile device giving you more freedom to move around the boat and still keep in touch. Basic and premium weather packages are available for purchase and will forecast information for your current location, a new destination, or specified waypoint so you always know what to expect! Great for use on or off the boat, the inReach Mini is the perfect safety companion.